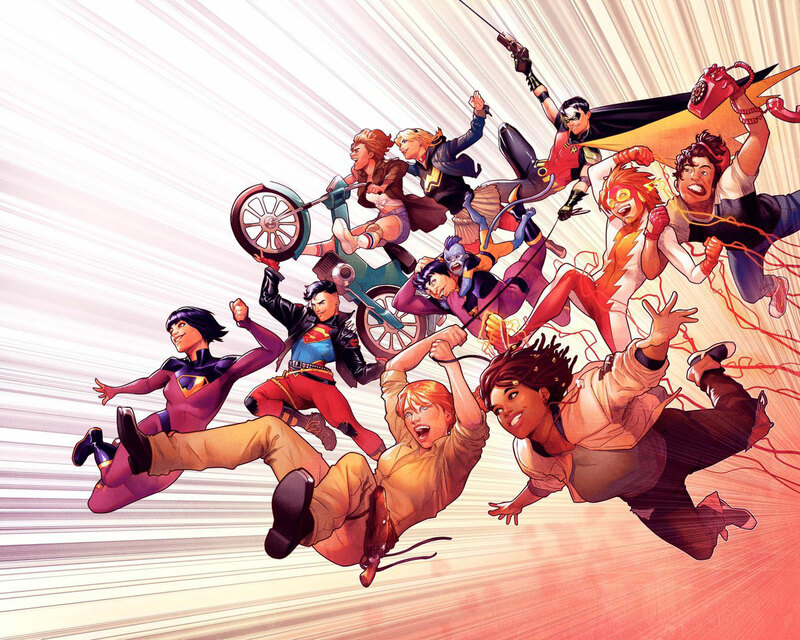 Young Justice, which will reunite Impulse, Superboy Conner Kent and Tim Drake/Robin, who once starred in the Peter David-written title of the same name. Bendis will write it, with Patrick Gleason on art. Naomi, which Bendis will co-write with David Walker, with art by Jamal Campbell. Wonder Twins, written by Mark Russell with art by Stephen Byrne. Dial H for Hero, by writer Sam Humphries and artist Joe Quinones. More details were teased to be revealed on Saturday night, during Bendis’ spotlight panel at NYCC.